Top Security’s core business focuses on delivering integrated security solutions. In cooperation with our customers, we develop customised and efficient solutions with the right balance of on-site security officers, mobile guarding services and technological security solutions. We also develop new services that deliver added value for our customers and improve their profitability. In cooperation with its customers, Top Security develops optimal, cost-efficient security solutions adapted to the needs of the customer. We ensure the right balance of expertise – on-site security officers, mobile security officers and specially trained security officers working in a monitoring centre – and the optimal integration of new technological solutions. 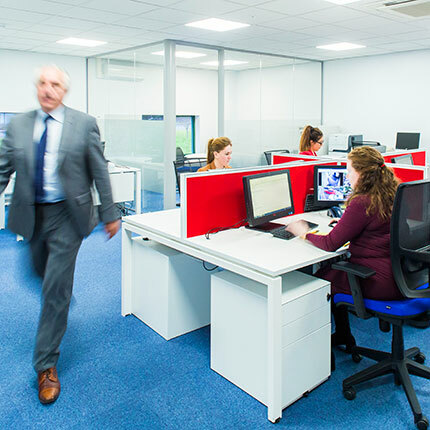 Our team will work with you to create a customised Guarding Solution that combines the most appropriate services to meet your unique and changing security needs. Top Security incorporates systems, people, and equipment into high-performing security solutions. A three-dimensional approach to security, Integrated Guarding is an innovative solution that combines On-site Guarding with Remote and Mobile Guarding to provide the most efficient, cost-effective solution for your security needs.